It’s no surprise that many businesses think corporate art collections are a waste of money. Art seldom makes much sense as an investment. But original art can add a rich dimension to the work environment. It can be one of the building blocks of a company culture, influencing everything from the spirits of employees to how people perceive a particular business. Consider Microsoft. It has invested in an art collection partly with the goal of creating an inspiring work environment that fosters creativity and innovation. The artists it chooses for the collection reflect this attitude. One such artist is Stephen Yates, a painter from Port Townsend. 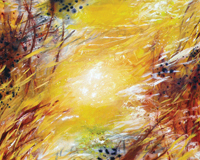 Yates’ art is represented in more than 50 corporate art collections across the nation. “The Microsoft organization has made an effort to put involving and interesting and challenging artwork in the spaces,” says Yates. Having artwork in the workplace allows for an inspiring and creative environment that fosters innovation. These businesses care about their employees, how their employees feel about their workspaces and what gives their employees the most effective energy when they come to the office. Culture Club. Port Townsend painter Stephen Yates’ work is in more than 50 corporate collections. page at seattlebusinessmag.com. There’s a reason that larger businesses usually have corporate art collections. They understand that their employees thrive in an environment that allows them to feel creative and inspired. “It sets the tone of a corporation, large or small,” says Karen Paul, owner of Corporate Portfolio, an art consulting firm that represents more than 70 artists, including Yates. If the flow of energy in the office is off, then the workplace as an environment is not doing everything it can to inspire effective work. This is why creativity is such a valuable asset. The most successful businesses flourish because their environment pushes workers to go beyond what is just expected. Corporate art, then, is a tool used by smart business owners who understand exactly how vital the workplace setting is for the business because it is an investment in the employees and their work. So what kinds of businesses should invest in corporate collections? The answer is simple: They’re businesses that put creativity and innovation at the forefront of their missions, businesses that want to be challenged and want to grow, and businesses whose leaders are constantly thinking of the next step. 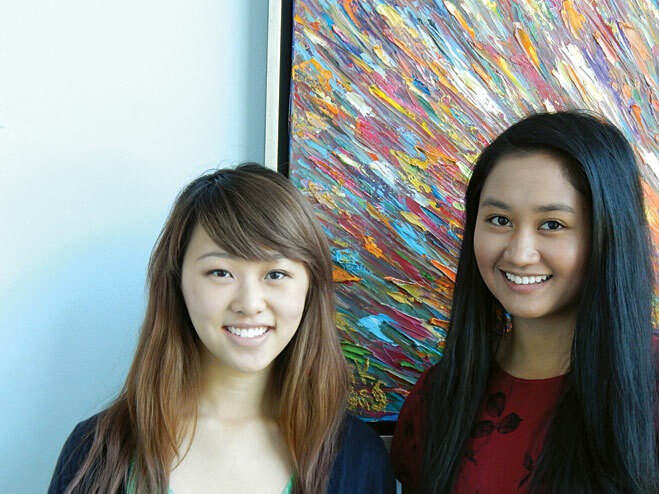 OLIVIA KAO is an event planning intern and CASSANDRA TENORIO is a marketing intern at Ryan James Gallery in Bellevue.